There was a time, many years ago, when you would have never heard the term “secular” or more importantly, thought of something like a “secular” space of discourse within a society. Since the Enlightenment movement of the late 17th and 18th century, Western civilization has slowly but steadily adopted a paradigm that includes a distinct “secular” space within society. It has become the mantra of both the “religious” and “non-religious.” It is so deeply engrained into our culture today and so reflexively accepted that few people seem to think to question it. So, What is “secular”? Where did it come from? Why does it matter? It wasn’t until postmodern theorists began to seriously question the ideas of Modernity that this notion of the “secular” got some serious negative attention and critique. 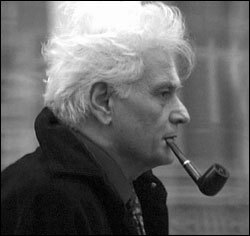 Postmodern theorists got under the philosophical underpinnings of Modernity and exposed it for what it was/is. They have tried to show us that we are ALL religious in some very important ways, that we ALL come to tables of discourse with views deeply informed by some tradition, and we ALL make ‘a priori’ (faith) commitments about the world. In other words, everyone comes with a “worldview” that has many of the significant earmarks of a “religion.” We may call ourselves “non-religious” because we don’t lay claim to a particular faith tradition (Christianity, Judaism, Islam, Hindu, etc.) but postmodern theorists have attempted to show us that our basic human situation is the same, irregardless of what we call it… that there is no universal rationality to be appealed to, and our contributions are always and ever informed by something like “religious” commitments, whether explicit or implicit. I think the postmodern critique of the Enlightenment philosophy is helpful to clear the ground for people of whatever religious commitment to bring all the particularities of their religion into the spaces of politics, academics, science, etc. People ought to be able to work from their particular religious persuasions, and not have to work to them to gain a hearing in a supposedly neutral secular space. I also think that we should gain a deeper more nuanced appreciation of other traditions, that are not our own, as they bring the full-bodied beliefs and values that they hold, to the table. Why should people have to ‘strip down’ their contributions from a tradition or a faith (whatever it is) to accommodate this so-called “secular” space, when everyone is already bringing in the fullness of their own worldviews, but maybe just not calling them “religious”? Whether we’re talking about foreign policy, academia in our colleges and universities, our Christian churches, faith communities of all sorts, or any institutions that traffic in the big questions of life, the “secular” will be often appealed to as the savior of humanity or the enemy of religion. It’s neither. It want to suggest to you that it is a myth, and worst than that, whole constellations of traditioned beliefs and ‘faith’ commitments get smuggled in, under the banner of the “secular” while religious folks are told to drop their particular religion off at the door, in order to come to the table of discourse. The for self-proclaimed “religious” (Christian, Jew, Muslim, Hindu, etc.) or the self-proclaimed “non-religious” (agnostic, atheist, secularist)… the “secular” only exists in the minds of those who have bought the story that Modernity tried to sell us. …But I’m not buying it. This entry was posted on Sunday, October 13th, 2013 at 5:25 PM	and posted in Uncategorized. You can follow any responses to this entry through the RSS 2.0 feed.